Offshore work is difficult and dangerous, and workers frequently cope with unpredictable weather, rough seas, and the hazards of heavy machinery. The Jones Act guarantees compensation for injured workers, provided that they are classified as seamen. Work on a vessel in navigation. A vessel doesn’t have to be at sea in order for a worker to qualify as a seaman. However, he must work aboard a vessel that is operating, capable of moving, and afloat on navigable waters. Contribute to the work of the vessel. This simply means that a worker’s duties must somehow aid in the accomplishment of the vessel’s mission. Have a permanent connection to the vessel. Generally, to qualify as a seaman, a worker must spend at least 30 percent of his time aboard a vessel or aboard a specific fleet of vessels. Maintenance. Maintenance is a daily payment to cover a worker’s room and board while he recovers from his injuries. These payments will be made from the end of the voyage following the injury until the point of maximum medical improvement has been reached. Cure. These are medical expenses related to an injury or illness that began or was aggravated while a seaman was working on a vessel. These expenses will be paid until a worker has reached the point of maximum medical improvement. Unearned wages. This is the income an injured worker would have earned had he remained on the vessel until the end of the voyage, or until the end of his contract. 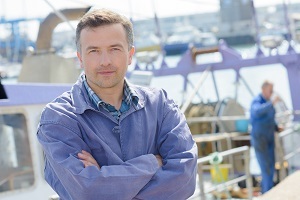 If you have been injured while working offshore, you need an experienced offshore injury attorney to help you determine if you qualify to file a Jones Act claim. To learn more, contact the law offices of Steve M. Lee, P.C., by clicking the Live Chat button on this page.